We offer nourishing spa rituals in luxurious communion with Mother Nature. Cultivate bliss and relaxation while we alchemize plant medicine, massage, and energetics— both ancient and state-of-the-art— to illuminate your skin and spirit. This is sacred space for you to dive deep into yourself. In our intimate apothecary & spa, every product you’ll experience is handmade in-house, with botanical enhancements, aromatherapy and holistic technique custom-blended to support your unique constitution. sacred space for you to dive deep into yourself. Let us help you discover the best products and treatments for you. The best products and homecare for my skin. 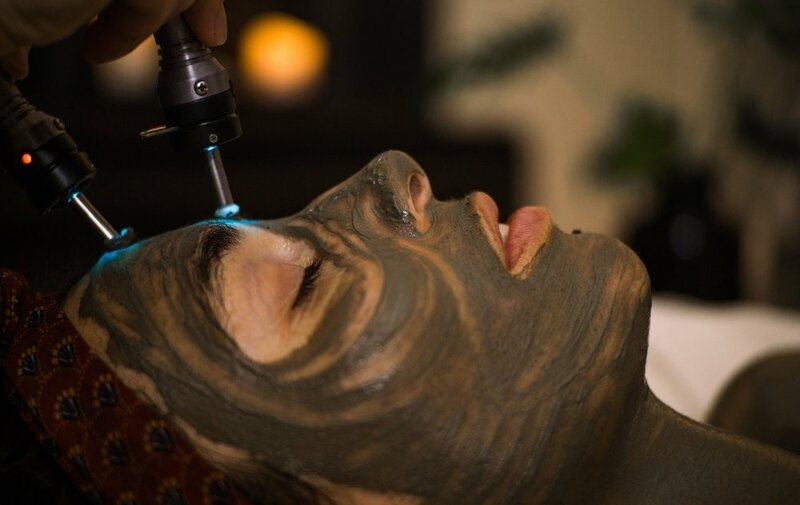 The EarthTonics Spa is located in the heart of downtown Ojai, just off of Ojai Ave. We are a moment’s walk away from great shopping, restaurants and historic Libbey Park. Our intimate space has two private treatment rooms prepared especially for your session. While we’re unable to support large groups at once, our clients love to stroll the downtown while their friends are in session. Spa sessions are available by appointment only.